Former WWE superstar Diamond Dallas Page might not be the first that you think of when you are looking for inspiration. You wouldn’t want to say that to Arthur Boorman though. Arthur was a disabled Gulf War veteran whom doctors had told would never walk on his own again. That was until he found Diamond Dallas Page and DDP Yoga on the internet. 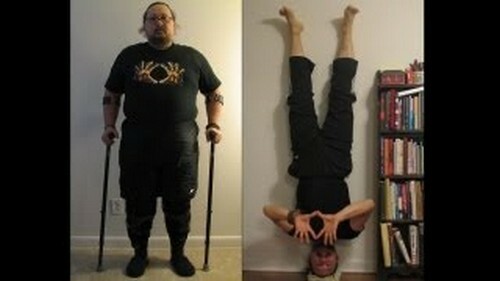 Arthur began doing the DDP Yoga system and has completely transformed his life. He is now 140 pounds lighter and has taken control of his life. All thanks to Diamond Dallas Page who showed him how to never give up!